First published at Critical Legal Thinking. Read there. 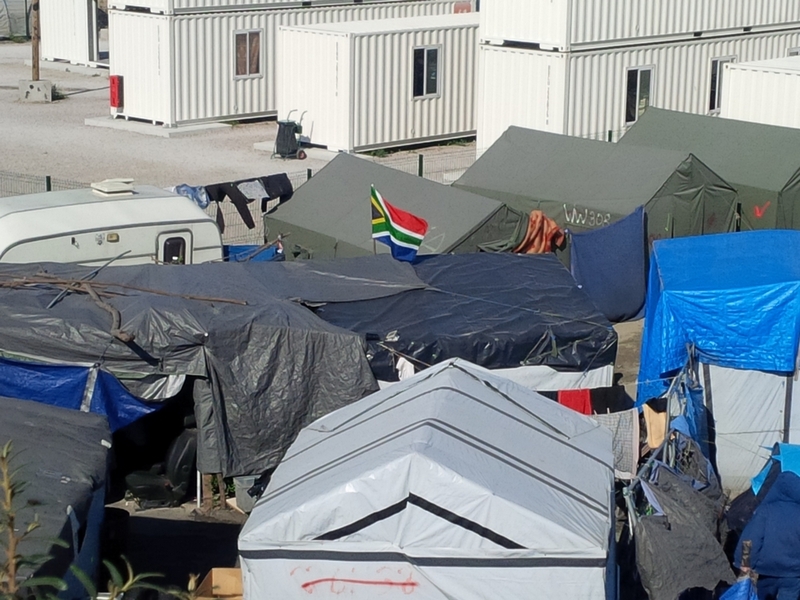 The Jungle is not just a camp for the undocumented, it is also a social body and above all a political subject. The way it has evolved gives us insights into how the political problems that produced it can be resolved through the relationship between the Jungle and the Republic as subjects. On the 26th of September 2016 the President of the Republic François Hollande visits Calais to address the problem of the Jungle, the camp that is now the biggest slum in the Republic. Whilst he does not visit the Jungle he declares its existence unacceptable to the Republic and pledges to dismantle it “definitively, entirely and rapidly”. This is an analysis of why that may be easier said than done. For the Jungle is not just a camp for the undocumented, it is also a social body and above all a political subject; the way it has evolved gives us insights into how the political problems that produced it can be resolved. To demolish the jungle is to trample on the potential for its resolution underfoot. The Jungle may be razed but like its former incarnation, the Sangatte migrant camp of 2002, it will inevitably reconstitute itself if in a different form. For the fate of the Jungle and the Republic are entwined. Much as the Republic may reject the Jungle, banish it from its horizon, the Jungle belongs to the Republic. It is a part of its making, its shadow space. 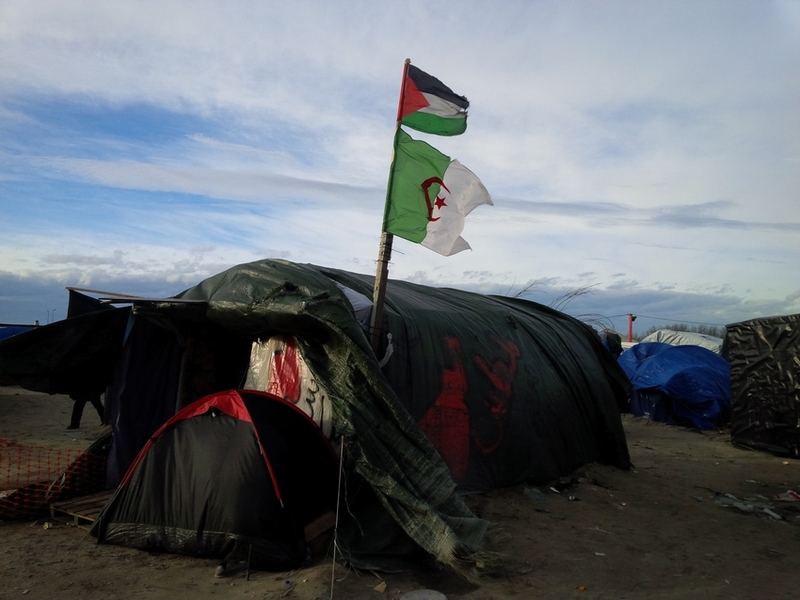 The narrative of how and why so begins as we survey the vast sprawling encampment from the raised bank of the motorway that hems it in; a motorway now insulated by the triple razor wire fence installed in April that with each month extends further and further into all corners of Calais’ environs. But from this vantage point, the panorama of the Jungle unfolds, a hazy ramshackle skyline punctuated by the fluttering of flags. Tricolores and Union Jacks abound, along with flags of Afghanistan, Dafur, Eritrea, Ethiopia, Iraq, Kuwait, Oromo, Sudan, Syria and so on. 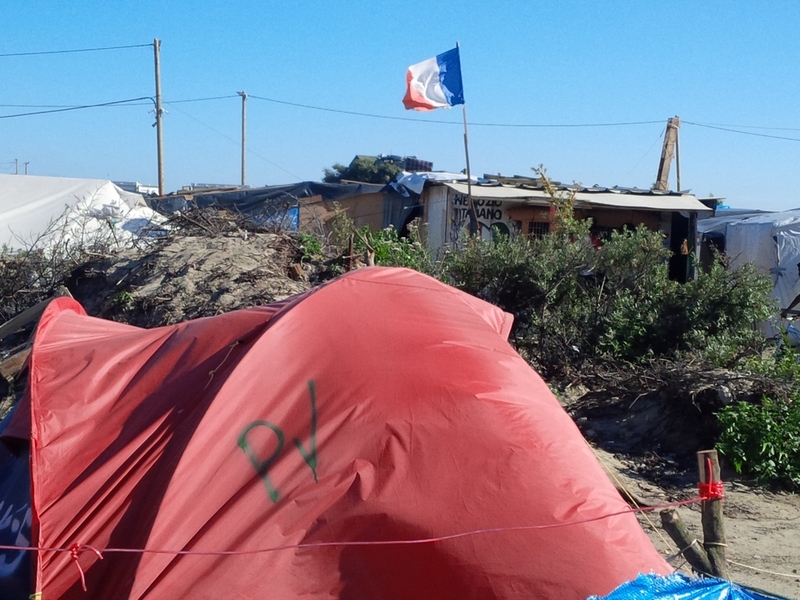 Flags that once belonged to pink and blue areas of the world map in the 50s are now here in this desolate enclave outside Calais. These flags are the Republics of the Jungle. The planting of flags is a part of colonial folklore — the heroic act of claiming territory on behalf of the flag. The Jungle flags do precisely that; they are both an act of allegiance and an act of claiming. The flags declare that here are humans with a claim. That claim is for the right to have rights. The right to have rights is a phrase that Hannah Arendt used in The Origins of Totalitarianism (1948) in reference to what she described as the second “great shock” that the European world experienced in the aftermath of the Great War with the proliferation of stateless peoples without rights. The waves of Russians, Armenians, Jews, Greeks from Turkey and so forth. Arendt examined its implication on the institution of the nation-state. The first great damage done to the nation-states as a result of the arrival of hundreds of thousands of stateless people was that the right of asylum, the only right that had ever figured as a symbol of the Rights of Man in the sphere of international relationships, was being abolished. Its long and sacred history dates back to the very beginnings of regulated political life. Since ancient times it has protected both the refugee and the land of refuge from situations in which people were forced to become outlaws through circumstances beyond their control. It was the only modern remnant of the medieval principle that quid quid est in territorio est de territorio..
‘Quid quid est in territorio est de territorio’ (whoever is in the territory is of the territory) is understood to mean that all individuals and all property once within the territory of a state are under its dominion and sway when they cross its frontiers. In the case of the Jungle today and its ten thousand inhabitants, it applies specifically to how the French nation-state, the Republic, deals with the question of asylum and rights on its territory irrespective of any arrangements or unions with other states such as the Dublin Regulation and Le Touquet borders accord with the British. The question of asylum for Arendt was ultimately a sovereign one. But that question is something that the 21st century nation state today is trying to diffuse. The Jungle is a manifestation of that process. The nation-state of France to which the Jungle owes its existence most directly is not the current Republic, the Fifth Republic that dates from 1958 but the Fourth. The Fourth Republic came out of legislative changes after the Second World War to replace the Third whose collaborationist phase with the Nazis along with its constitutional separation of colonial subject and citizen violated the founding universalist principles of the Republic based on equality for all. The flags at the Jungle today are a testimony to the legislative settlement that arose out of the founding period of the Fourth Republic as the great colonial powers sought to dismantle their colonies in haste using much the same language as Hollande would at Calais: definitively, entirely, rapidly. It was at the same time that Frantz Fanon explored the specificity and centrality of colonial violence and its trauma instigated by the very process of decolonisation. This exploration lead him along the path towards the formulation of a new humanism through decolonisation by revolutionary means. Revolutionary decolonisation was a means of resistance borne out of colonial trauma and it also sought the acceleration of decolonisation to end a brutal process. But there were a range of contemporary voices that sought a different pathway for the Republic even as a colonising instrument. Frederick Cooper’s The Accidental Nation State—Citizenship between Nation and Empire: Remaking France and French Africa 1945–1960 (2014) details this, in particular through the work of Lamine Guèye and Léopold Senghor (from Senegal) and Aimé Césaire (from Martinique) for the new Assemblée Nationale Constituante, the body that would author the constitution for the Fourth Republic in 1946. How the Republic’s new constitution came out of the post-colonial settlement owed a great deal to the contribution of political thinkers from the colonies whilst ultimately excluding their work. To understand the Jungle flags today and how they implicate the Republic, we need to refer back to that erased work which as Cooper put it, is a “story largely written out of French and African history”. That story drawn from France’s West African colonies, or the AOF, was about a process of dismantling the colonial empire without having to choose between French colonialism and national independence. Its project was a postcolonial imagined community that lay beyond the nation-state in a federal entity, the French Union. Mamadou Dia in La Condition Humaine (1955) suggested the nation-state was neither modern nor desirable; rather the concept of the nation-state was in itself imperialist and needed to give way to the multinational state. Léopold Senghor argued for a postcolonial federal sovereignty — pan-African and Franco-African — whereby interdependence through decolonisation would transcend the conflict between assimilation and separation. The political goal that mattered was equality, particularly through equality of labour rights across the entirety of the empire. This was brought home by the successful labour strike of Dakar in December 1945 right at the end of the Second World War. Under the banner of “Equal pay for equal work” the colonies asked for a parity of rights, through parity of wages. As a means towards this Republic of equals came the Lamine Guèye Bill of 1946 which abolished the distinction between subject and citizen; in effect all peoples in all parts of the empire could claim their rights as French citizens as a prelude to decolonisation. In this climate, to be anti-colonialist was not necessarily to be a nationalist. Such a vision of the Republic was antithetical to the segregationist settler culture of Algeria. The settler culture of the French colons maintained a separate system of law and administration, the indigenat whereby the native had to renounce Muslim status to acquire French citizenship. The colons demanded a legislative chamber divided into 2 separate colleges, one for native French citizens and another for assimilated natives, evolues. There was no room in their notion of the Republic for the natives who retained their cultural distinctness. The Loi-Cadre made official the division of the African continent, scattered government councils here and there, set up competitive economic areas. Centralization, territorial unity, the constitution of the nation, the economic integration of the country, was replaced by the hideous Balkanization.. The danger in the existence of such people is twofold: first and more obviously, their ever-increasing numbers threaten our political life, our human artifice. The danger is that a global, universally interrelated civilization may produce barbarians from its own midst by forcing millions of people into conditions which, despite all appearances, are the conditions of savages. To try and project beyond these dangers leads us back to rejected work of the colonised for the fourth Republic. Aime Césaire at the First Meeting of Black Writers and Artists at the Sorbonne in 1956, gave a lecture on “Culture and Colonization” introducing another language, that of the political necessity of articulating solidarity into state-making. 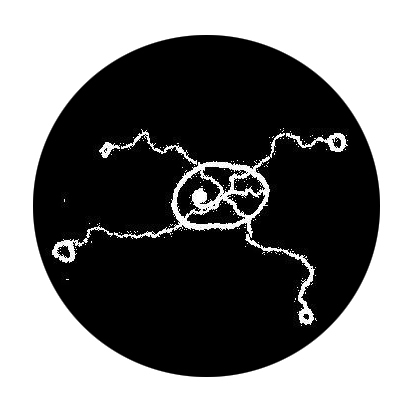 There is a double solidarity among all those who are gathered here: first, a horizontal solidarity, a solidarity created by the colonial or semicolonial or paracolonial situation that has been imposed on us from without. And on the other hand, another solidarity that is vertical, a solidarity in time, which comes from the fact that out of an initial unity, the unity of African civilization, there has been differentiated a whole series of cultures that all owe something to that civilization. For Césaire, horizontal solidarity was a means to address a present mutual struggle whilst vertical solidarity was to unite them across time and allegiances, incorporating the colonial dimension in a shared (African) history. 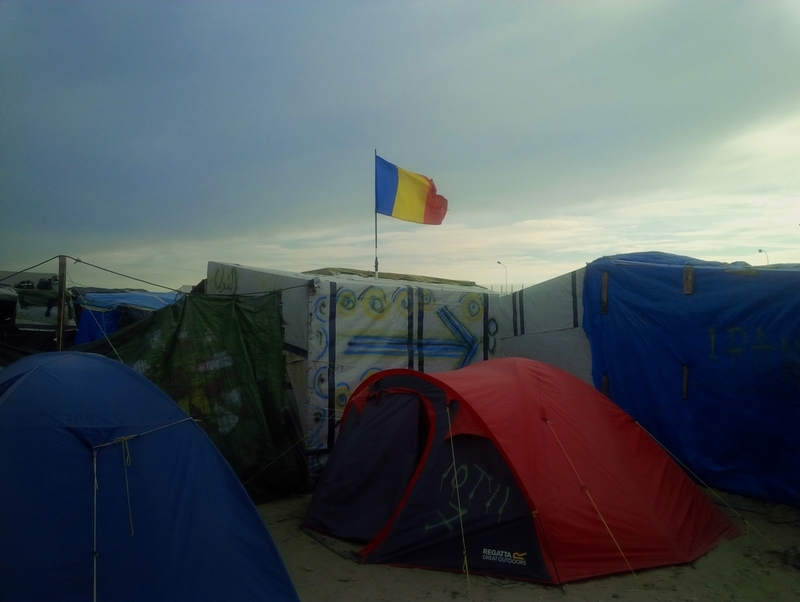 Reading this into the human reality of the Jungle in Calais today and to conjecture the possibility of a political resolution beyond the violence is to see Jungle flags on these twin poles of solidarity. The vertical and the horizontal applies as much across the Republics and peoples of these flags as to the territory of the Republic it sits — through the Republic’s own evolution from the Third, Fourth, Fifth and beyond. These are all equally and as much the Republics of the Jungle. The flags that fly at the Jungle aren’t there for decoration. The Jungle in its present monstrosity is of the Republic’s own making which it must attend to. But there is another indictment. 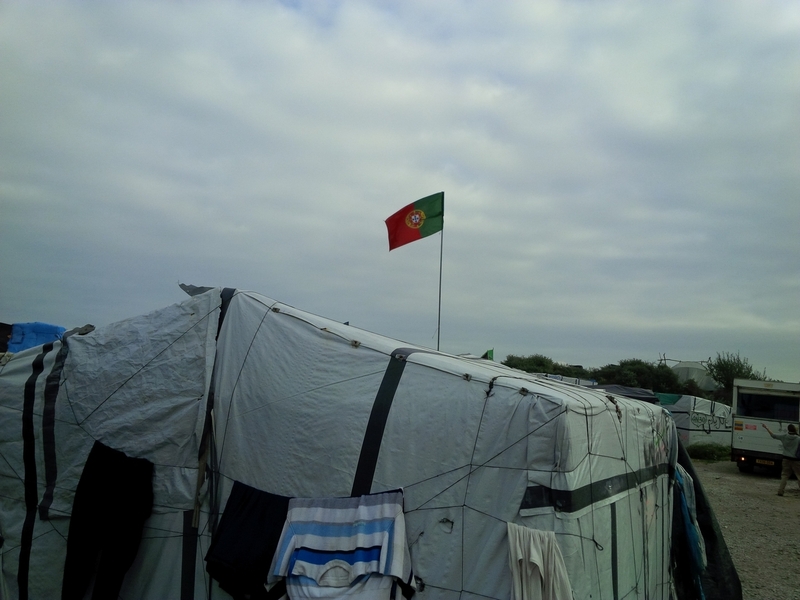 For two decades now migrant jungles have been a part of Calais but as peoples they have been excluded from the life of the city and the possibilities that evolve through civil relations. Calais ville did not have to be a latter day Oran. The closure is not just of borders but of life. But the tragedy as we have seen is that the formulation of subject and citizenship that drew on the contribution of political thinkers from the colonies became the basis of French law in a territorially segregated constitution. Thus if the Third Republic had violated republican principles through the segregation of subject and citizen, this was resolved by the Fourth Republic through progressive amputations of the idea of ‘people and peoples’ and decolonisation through ‘escape’. The Fifth Republic in 1958 consolidated this, replacing the French Union with the so-called French Community. The Republic shrunk by the decade to its own territorial universalism. It is by this process that we can form an understanding of how the Jungle and the Republic today intersect in territorio and why that relationship can not be resolved by the bulldozer. The Future will be handmade?